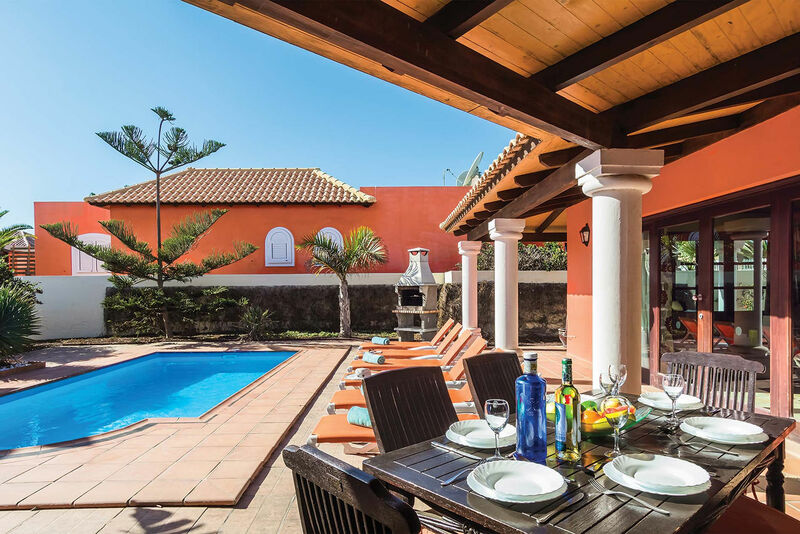 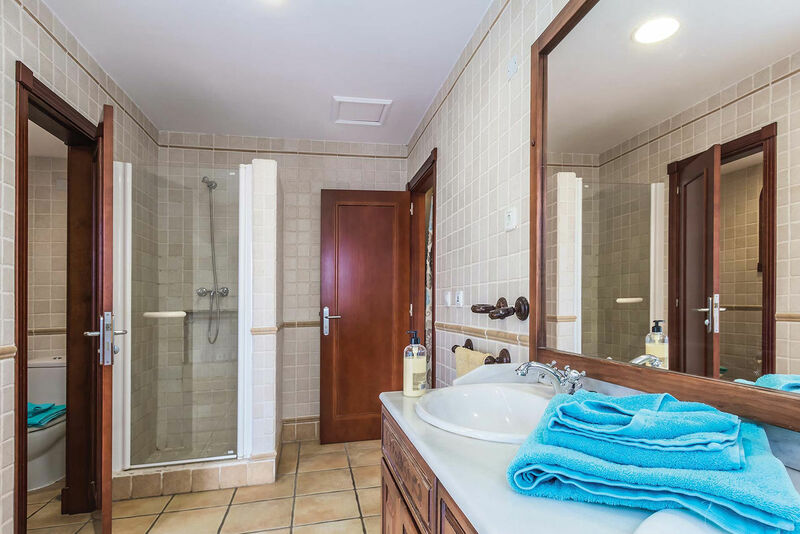 Located in Brisas Del Mar resort in Corralejo, this delightful modern villa has been designed with all the accommodations surrounding the heated pool, a large sunbathing area, the barbecue area and beautiful gardens with subtropical plants. 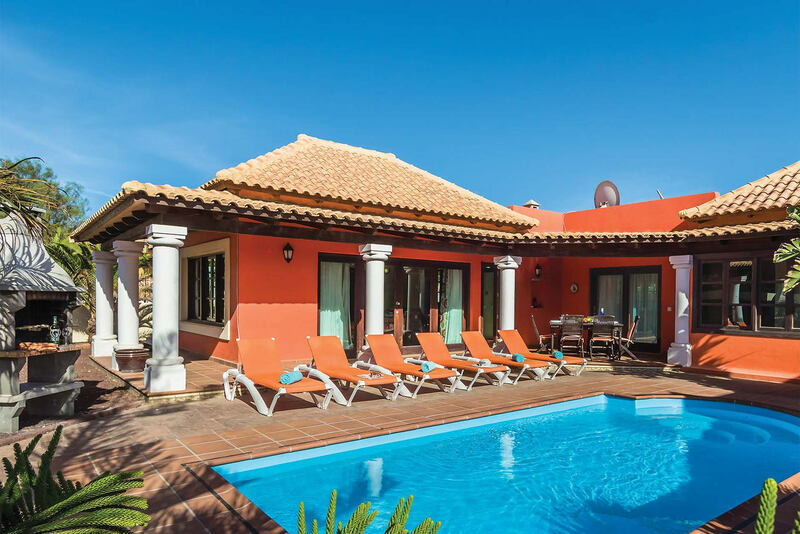 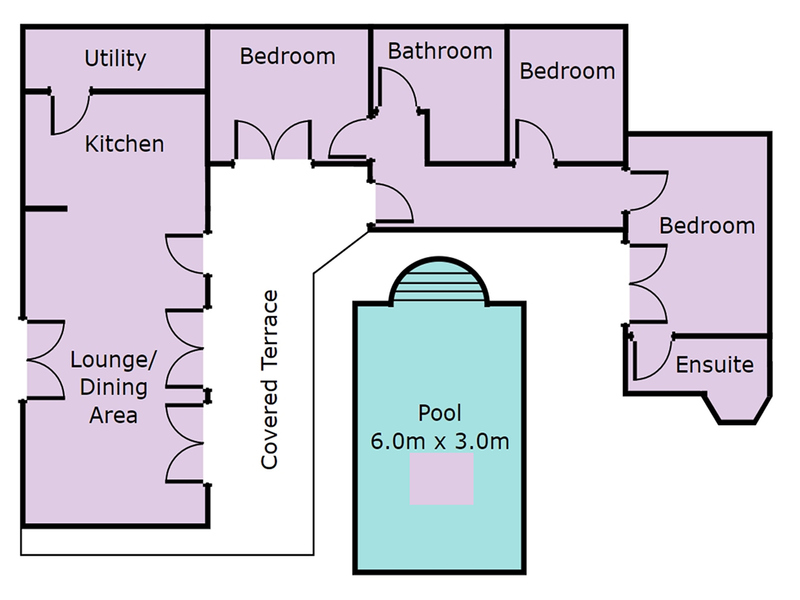 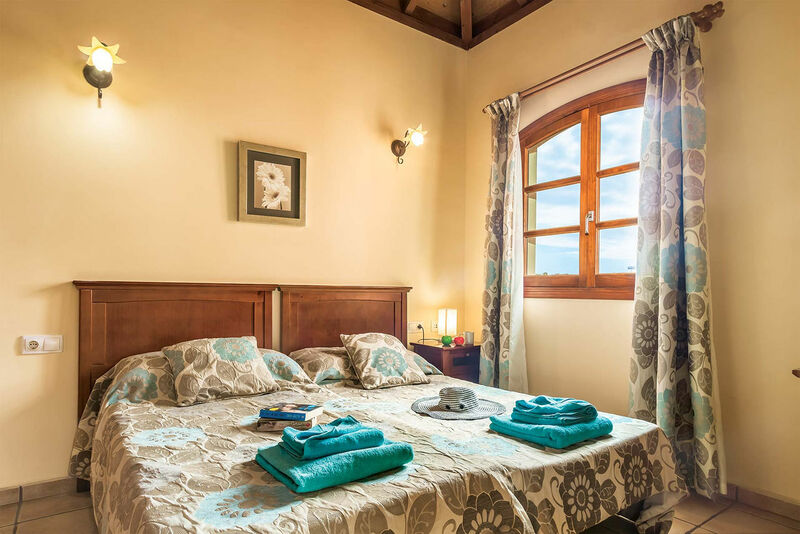 The villa is very bright and spacious, with high beamed ceilings and terracotta tiled floors. 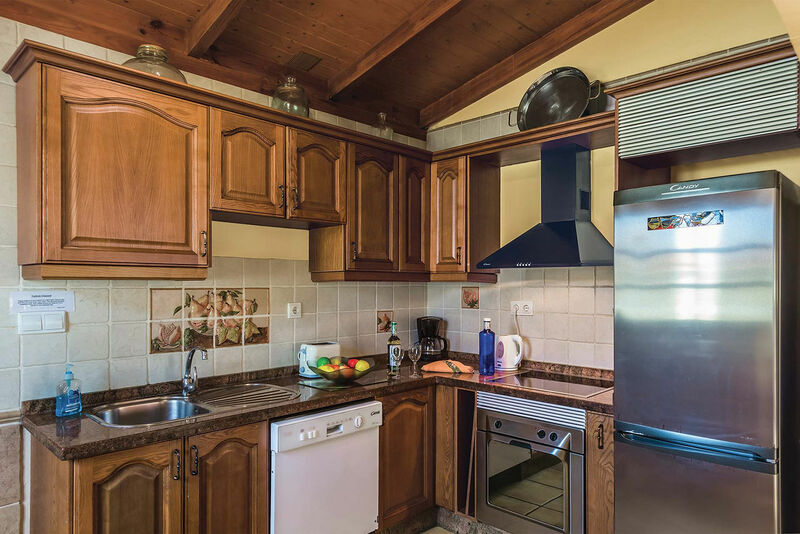 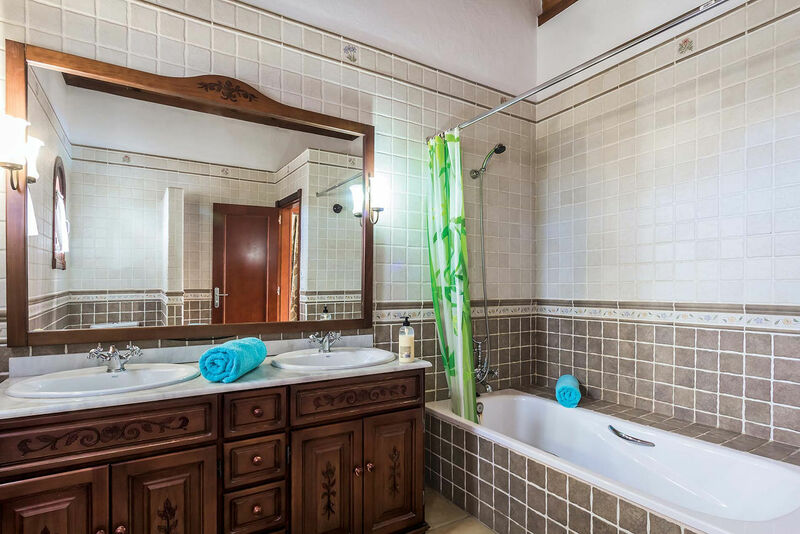 Inside, the villa consists of a large living/dining room with a fully equipped kitchen with high-end appliances and an adjoined storage room, three double bedrooms, one of which, the main one with an en suite bathroom, and one further bathroom. 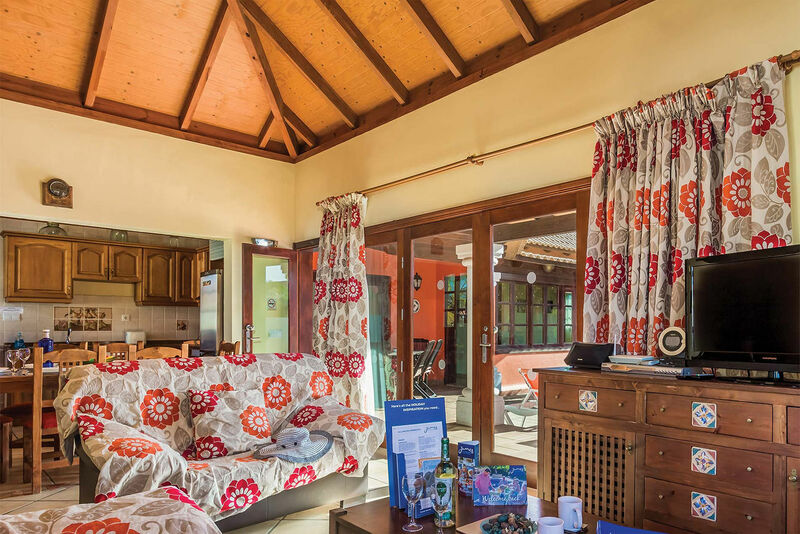 From the lounge and one bedroom, you can directly access the large terrace that surrounds the pool, covered by a wooden pergola that guarantees large shared areas where you can relax or have quiet lunches with your family or friends. 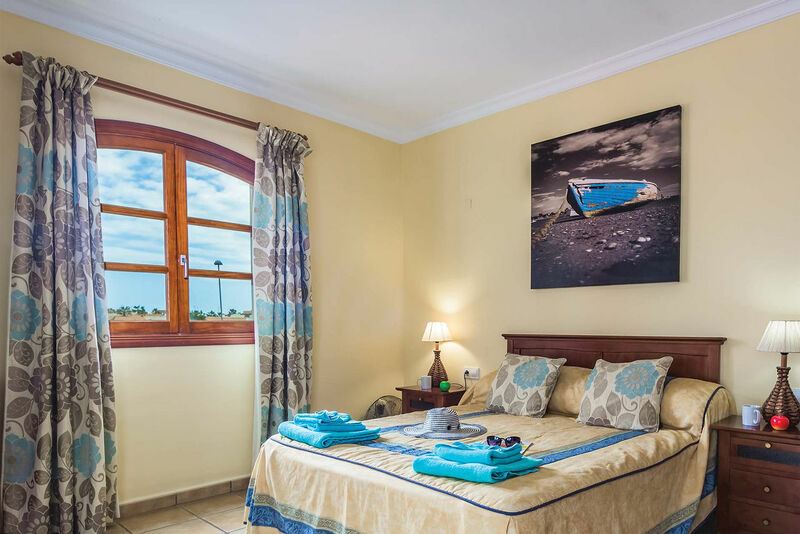 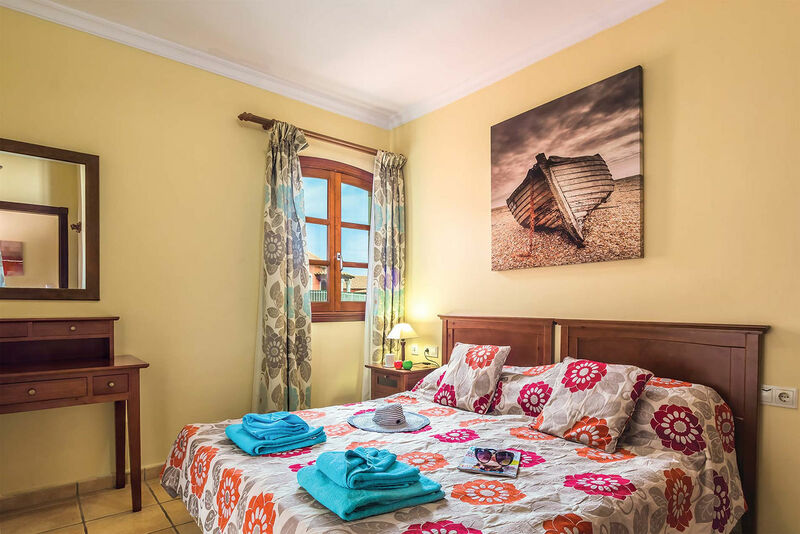 The Brisas Del Mar resort is located in the south area of Corralejo, about ten minutes walk from the city centre and 10 minutes drive from the famous and attractive Natural Park of white sand dunes, a must for sea lovers and watersport addicts.